If you want a better future tomorrow, you're going to have to fight for it today. Here are four urgent stories from author and activist Cory Doctorow, four social, technological and economic visions of the world today and its near - all too near - future. 'Unauthorized Bread' is a tale of immigration, toxic economic stratification and a young woman's perilously illegal quest to fix a broken toaster. In 'Model Minority' a superhero finds himself way out his depth when he confronts the corruption of the police and justice system. 'Radicalized' is the story of a desperate husband, a darknet forum and the birth of a violent uprising against the US health care system. The final story, 'The Masque of the Red Death', tracks an uber-wealthy survivalist and his followers as they hole up and attempt to ride out the collapse of society. 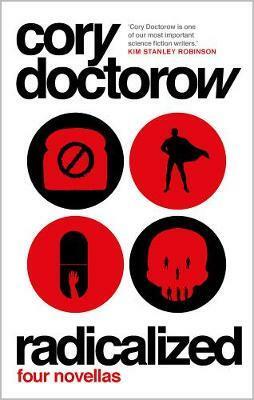 'Cory Doctorow is one of our most important science fiction writers' KIM STANLEY ROBINSON.